My language teacher's mother gave us some of her homemade ajvar (on the right) and ketchup. The ketchup is more like tomato sauce, and I will use it as such. 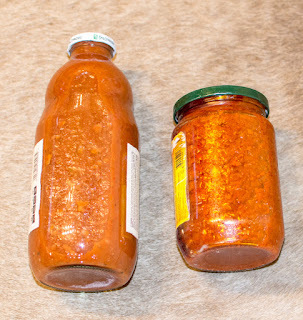 Ajvar is a red pepper paste. It's a popular condiment here, and I thank her very much!